Pretty much everyone in the United States will be required to file a federal income tax at some point or another. If you’re lucky, you’ll receive a refund. If you’re not, you’ll be required to pay in. Of course, neither scenario is quite as scary as being audited by the Internal Revenue Service. In fact, a lot of Americans stay awake all night worrying about being audited. There are a lot of misconceptions and many people blow the situation out of proportion. First and foremost, you should understand that roughly 1% of taxpayers will face an audit from the IRS each year. Individuals in higher tax brackets tend to have a greater chance of being audited. Nevertheless, the risks are still pretty low. With this in mind, you shouldn’t allow an audit to delay your taxes. Get your return submitted on time to ensure that you do not face any hefty penalties. If you do happen to get audited, you can deal with it in the future. Regardless of the figures, there is still a chance that you’re going to receive a letter from the IRS in the future. A lot of people will freak out when they get that dreaded envelope in the mail. You shouldn’t. The truth of the matter is that there are clear ways to deal with an audit. As long as you haven’t done anything illegal, there is a good chance that you’ll be able to solve the problem without prosecution. Remain calm and learn about your options.When choosing a tax attorney, be very careful and do your due diligence. Take this time to invest in finding the best tax attorney as your tax defense partner. Remember that you do not have to respond to the IRS’s correspondence immediately. Instead, you have 30 days to respond to the notice. Therefore, you shouldn’t rush and make even more mistakes. Nevertheless, you should also do your best to get the letter returned as quickly as possible. 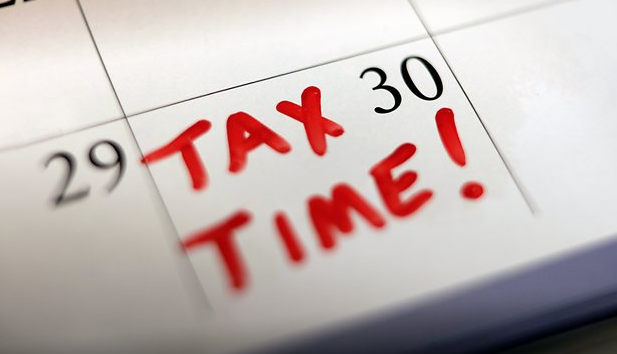 If you delay responding, the interest will accumulate on the amount owed to the IRS. Work diligently to respond to the IRS’s request and avoid errors along the way. The IRS is most likely going to request a handful of documents from you. When responding to their letter, you’ll want to provide them with all of this information. There is some common paperwork that the IRS will require. Your tax attorney will recommend that you submit mortgage statements, prior year’s tax returns, brokerage statements, pay stubs, receipts, and even retirement account records. It is best to submit everything upfront. This will prove that you have nothing to hide. You are protected under federal laws. The IRS agent cannot treat you badly. By law, they are supposed to treat you in a courteous and professional way. You also have a right to privacy and you deserve to know why the IRS is requesting the information in question. Speak with an attorney and get to know more about your rights as a taxpayer. This will give you more room to defend yourself. In some cases, there is a chance that the consumer did something wrong. They may have made a small mistake on their tax return. That could have decreased the amount of taxes owed. When this happens, you will receive a letter in the mail. At this point, you will have several options, you can go ahead and pay the owed taxes. Alternatively, you can dispute the findings. If you agree that you made a mistake on the tax form, you should go ahead and pay for it. Just send the IRS a check the amount requested and get it over with. It is undoubtedly true that pretty much anyone can get audited at any point. You might believe that you’re invulnerable, but this couldn’t be further from the truth. Before you get audited, it is pertinent to take steps to protect yourself. You should always keep records and tax returns for at least three years. Also, keep your bills, receipts and bank statements. Having these documents handy will prove to be immensely beneficial in the event that you do get audited.